Exhibitors and expert visitors to EuroTier and EnergyDecentral will be able to attend "Match & Meet", an international forum conceived to forge contacts for cooperation and new business opportunities. Use this service, in order to identify potential business partners in advance, establish targeted contact with them and meet them in person at the fair. Register free of charge now and make business contacts. Meetings at the fair take place at the exhibitors stand. 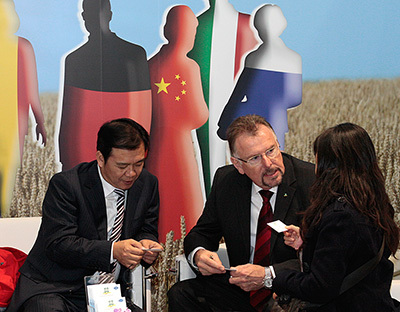 Entrance tickets for EuroTier and EnergyDecetral confer the right to participate in the face-to-face meetings.